The Loan Charge applies on 5 April 2019 to all outstanding disguised remuneration and contractor loans unless settlement is reached with HMRC before that date. There has been much comment in the media and parliament about the fairness (or not) of the charge and its retrospective effect. What might HMRC might say if they could? What has our learned friend Keith Gordan (KG) said? 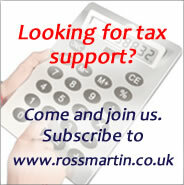 What's the view of www.rossmartin.co.uk (www.RM), do they differ? www.RM: Tax and insurance paid on scheme loans is at a much lower rate than that paid on salary, trading profits, cash, most benefits, and dividends. Scheme users all had a choice: whether to be paid in the “normal” way and pay tax accordingly, or whether to take a loan and pay much less, or in some cases, no tax or national insurance at all. They chose to take loans. www.RM: A fundamental selling point of the loans schemes was that the loan is never going to be repaid. Scheme users took them on the understanding that they would never have to be repaid and they would be written off from their estate tax free on death, alternatively, the borrower could move abroad and the loan would be written off once they became a non-UK taxpayer. Depending on how the scheme was set up, there is no interest charge, no repayment schedule, and the loans are unsecured. The borrower treated the money as their own. This is entirely different way to how anyone would view a bank loan or mortgage, or normal company loan: borrowers knew that they did not need to worry about being able to pay it back. www.RM: The question seems to be is it really a loan, or is it actually disguised payment for services/work done? One could ask: what has caused the lending entity to loan a particular individual a sum of money on terms that they could not obtain elsewhere e.g. interest free, unsecured and with no repayment plan? Where has the money come from in the first place? Is it the entity who would have paid the worker if they had chosen to be paid in the “normal” way? Why have we not all been offered one of these loans? The answer is, of course, despite what the scheme paperwork may say, that the individual has undertaken work for which they have received no payment other than (in some cases) a very small salary, and they have also been granted a loan. www.RM: our evidence (from informal discussions with those working at HMRC) is that HMRC were not aware, for some number of years, of just how many people had used these types of arrangements. Tax schemes were a multi-million pound industry with dozens of scheme providers over a period of over 25 years, who each produced several different iterations of each scheme, e,g EBT, EFRBS, contractor loans, remuneration trusts. Even under DOTAS full details of how each scheme works are not provided. HMRC did change the law in 2010 with part 7A of ITEPA and again in subsequent years when it introduced APN’s and the loan charge. The 2010 changes simply spawned a whole new set of arrangements plus secondary planning for existing arrangements (e.g. loan cleansing) and thousands more scheme users were added to the lists as new more aggressive products began to appear. www.RM: This is a fair point but could be argued the other way. Some individuals who used these arrangements have income amounting to hundreds of thousands and even millions of pounds and have used multiple schemes many times over. Equally, many are business owners who justify their actions by the amount of tax their businesses pay already in VAT and employer’s national insurance. KG: “HMRC knows that everyone thinks those who work in medical services and teaching etc deserve sympathy. HMRC is relying on people thinking that those who work in business services do not deserve sympathy. HMRC is meant to treat all taxpayers equally. www.RM: The loan charge applies equally to everyone with outstanding loans on 5 April. Payment terms offered on settling with HMRC are better for those with income in the current tax year below £50,000 than for those with higher incomes. Of course, certain industries lend themselves better to these sorts of arrangements because of the high incidence of contract workers compared to payroll employees. It is true that some lower paid workers seem to have been pushed down a particular path without fully understanding the details of the arrangements. It is a shame that so many of the scheme providers who sold these arrangements and made a lot of money from it have apparently taken the money and run. leaving the individual taxpayers to deal with the aftermath. www.RM: Some scheme providers took the view that DOTAS did not apply and failed to notify HMRC under DOTAS. This makes it difficult for HMRC to find out about the scheme and to challenge either the DOTAS status or the scheme itself. In a recent letter to the Treasury sub-committee, HMRC admitted that less than half of known schemes have been disclosed under DOTAS. Some individuals who took loans before 2003 have now wound up their schemes or settled with HMRC. Some have wound up their companies and the loans have disappeared. Many scheme users found that the costs of the tax on the interest free loans and the scheme running costs became prohibitive, or they wished to sell their business and settling the scheme was a condition of sale. www.RM: In many cases HMRC have assessed the loans under their normal powers. These assessments will have been appealed to the tax tribunals. Few cases have yet been heard with only the Rangers case getting as far as the Supreme court. Whilst it might seem surprising that such a high number of loans have been taken since the 2010 legislation came into force, given its wide-reaching powers; this just shows that the change in law has not deterred many individuals and that scheme providers have continued to come up with new ways to circumvent the rules. In later years many scheme providers have based themselves offshore. We have seen numerous cases of IT contractors who, as serial users of loan schemes, started with schemes which originally based their trustees on the Isle of Man, Jersey and Guernsey and then as HMRC's net spread moved to moved the trusts to more exotic locations such as Panama and Belize. www.RM: Both comments are true. As most people in practice over the last 15 or so years knows, tax schemes were being mass marketed by scheme providers. Clients could often pick a scheme from a menu of schemes. Often firms who offered schemes to their clients did not understand fully how the scheme worked, all they knew was that it was ‘covered’ by some kind of tax counsel’s opinion and the idea was that the loan would be eventually written off. HMRC processes returns on a check later basis and many returns and accounts do not provide sufficient information to inform HMRC as to the nature of the scheme. It is likely that HMRC originally thought that the loans were real loans and were going to be repaid: they would not have seen the marketing material. As advisers, trying to unravel and advise on schemes, we often find that it is extremely difficult to obtain details of how schemes work. The promoters held back vital details. Ticking a box for DOTAS assisted HMRC in terms of bulk data collection. The problem was a lack of appropriate HMRC resource to deal with such schemes, by 2010 we had had a banking crisis and MP's minds were on other things. As the scheme providers thought up more and more ingenious ways to circumvent the legislation HMRC have had to spend more time and money on understanding and challenging the arrangements. Time and money which could have been spent chasing tax evaders.